I've just joined a great new website that will showcase all my travel photos. So far, I've only posted my Cambodian photos (of course) but I will hopefully soon be posting my pictures from Canada, the US, Vietnam, the Caribbean and Mexico. The great thing about this site is that it not only showcases the photos but you can PURCHASE pictures or downloads of the images! In other words, I may be able to make back a very small fraction of the money that I have put out in camera equipment over the years. Or who knows? I may make absolutely nothing but it's still a pretty cool place where I can store my photos. 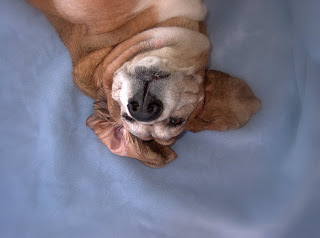 And to celebrate, I am posting a pic of an upsidedown Basset Hound. So you wanna move to L.A.? A new non-profit is on its way!